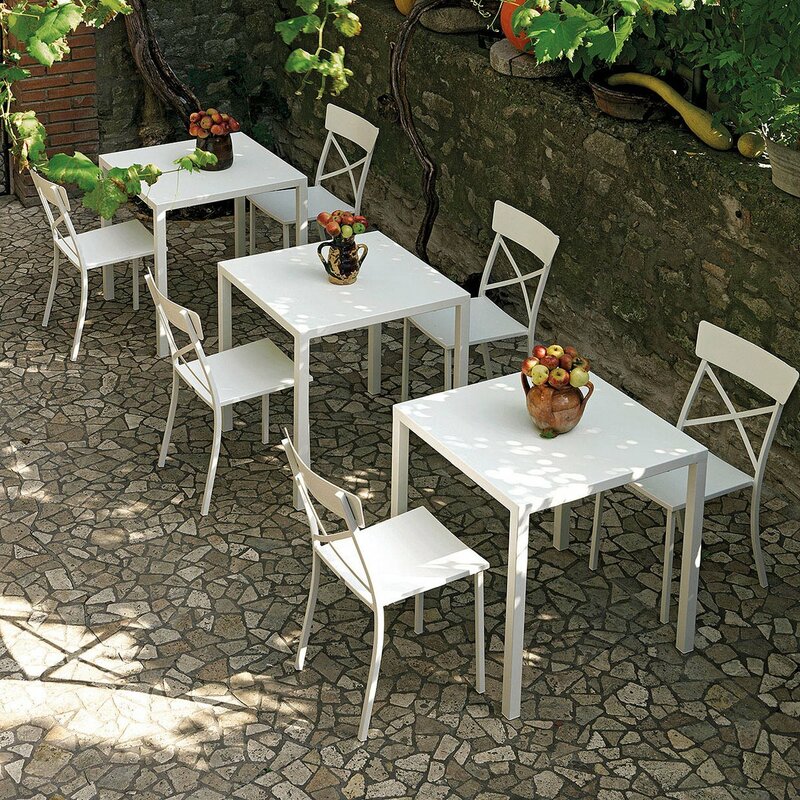 Ensemble de quatre chaises. 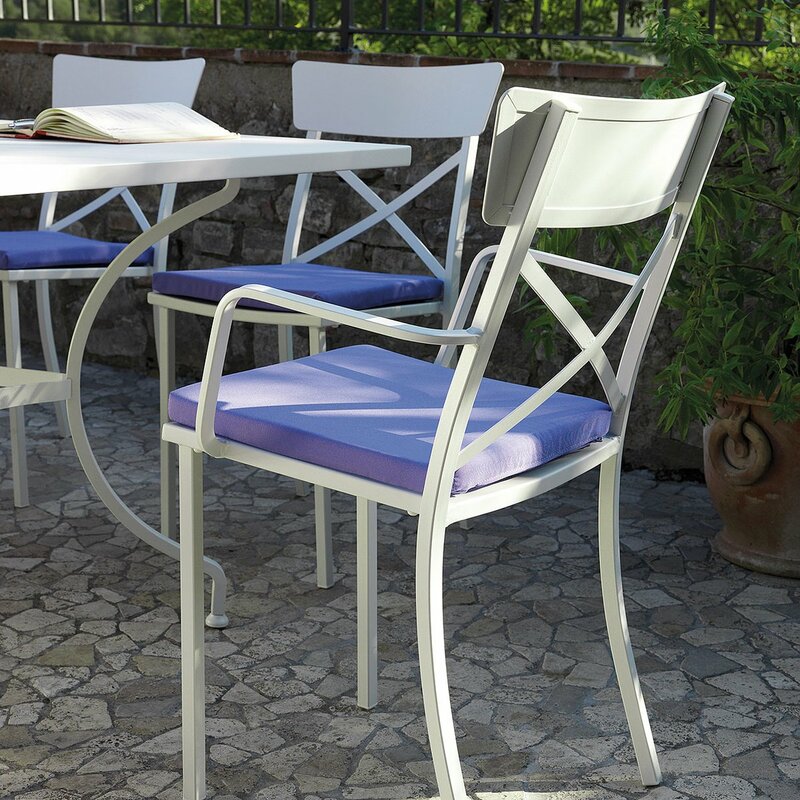 The Mogan collection is enriched with a new article, the Mogan chair with cross detail. 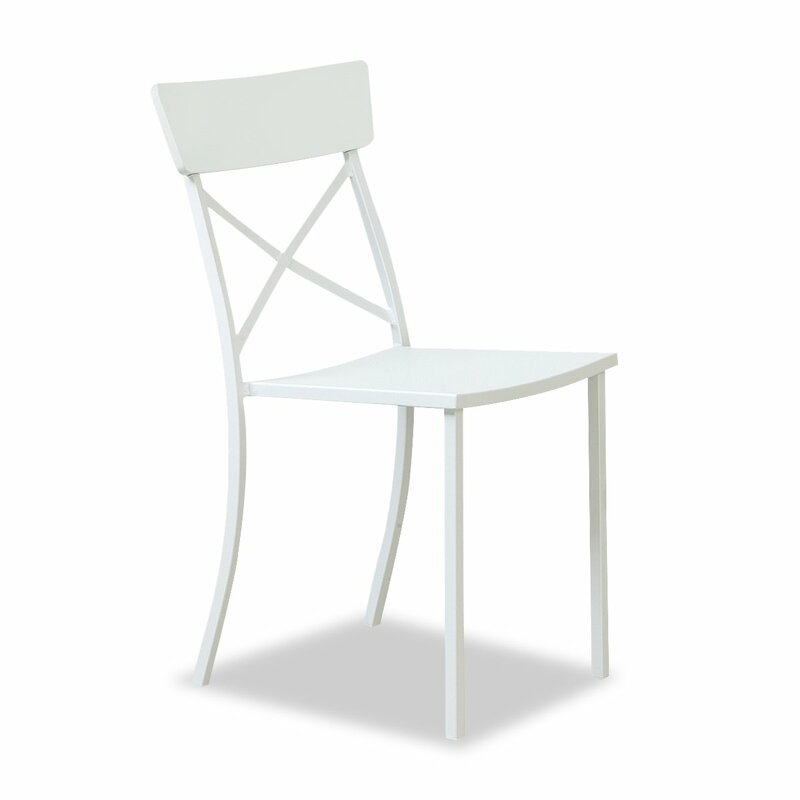 This new version is embellished with a cross in the backrest that gives this chair a more classic touch without, however, abandoning the linear and modern style that characterizes the entire Mogan line. 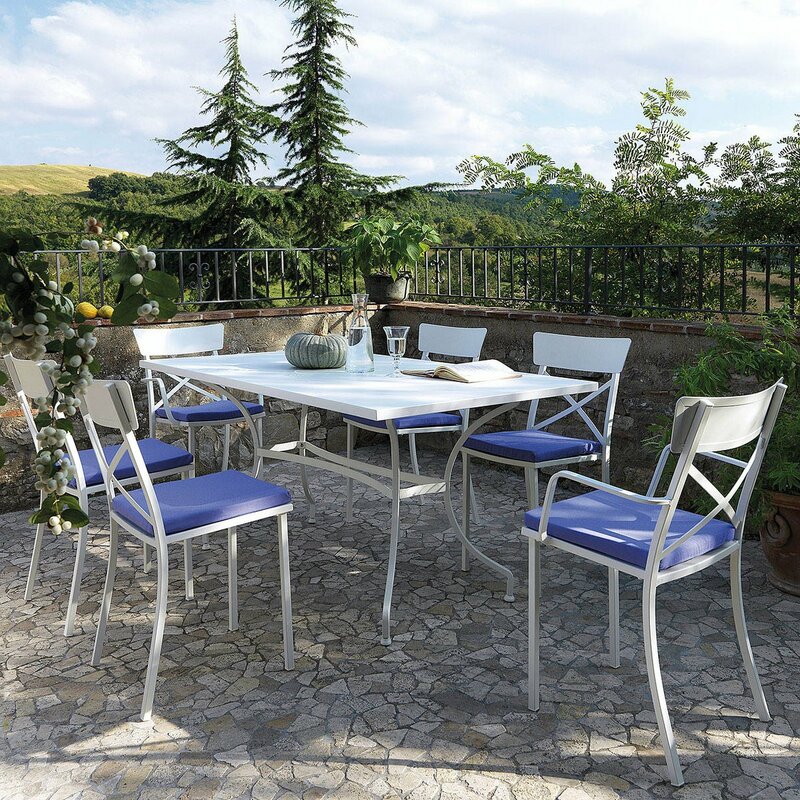 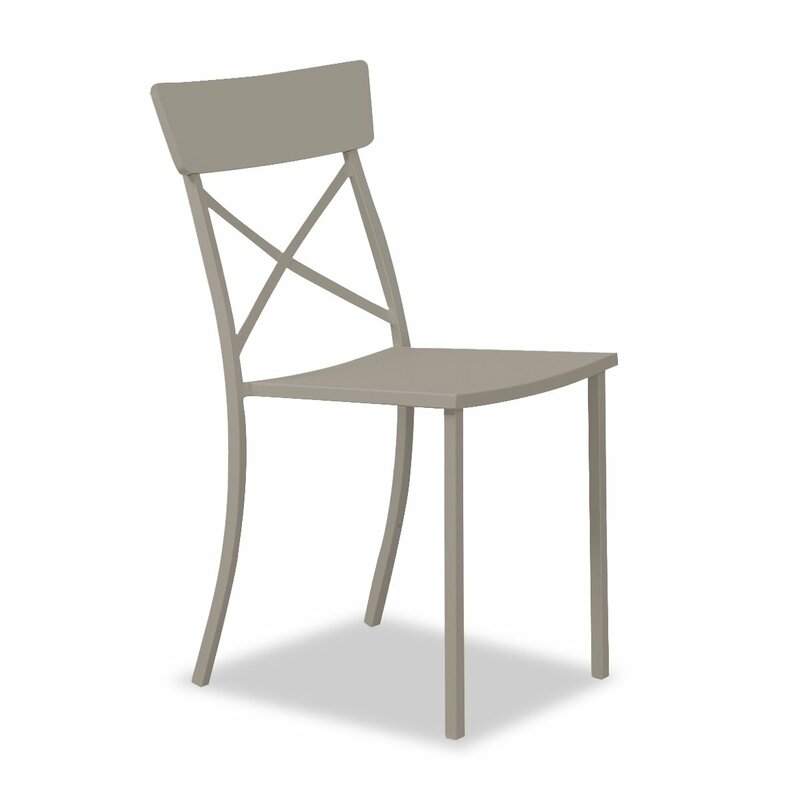 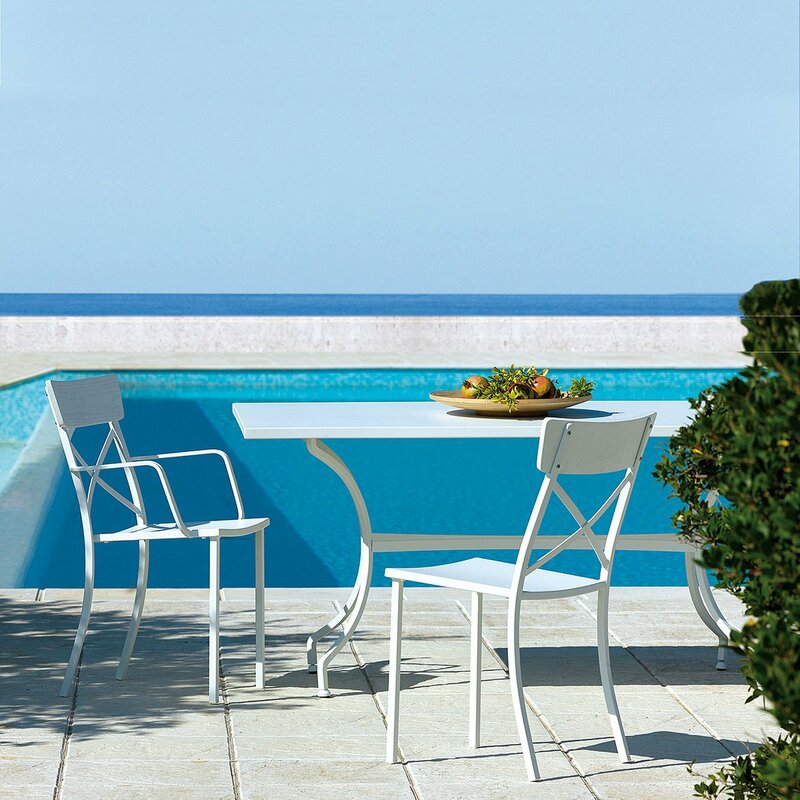 Produced in galvanized steel, even the Mogan chair with cross detail is designed for outdoor use and is resistant to atmospheric agents and is easy to maintain. 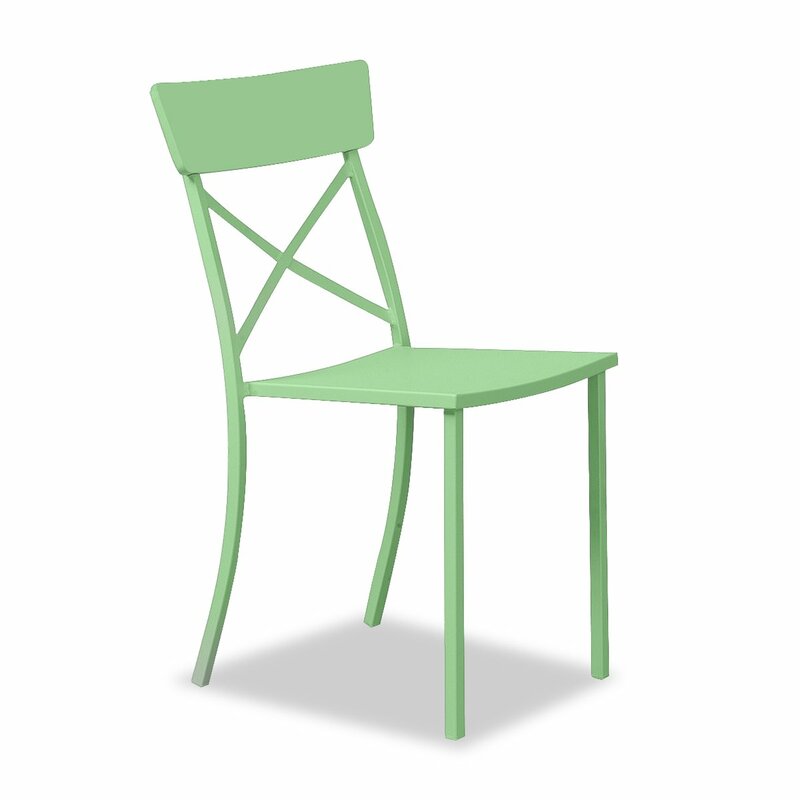 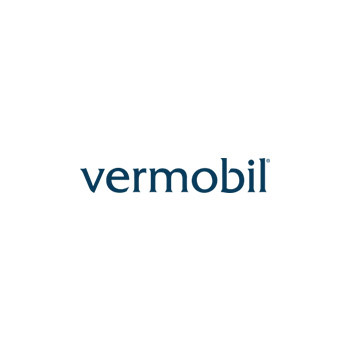 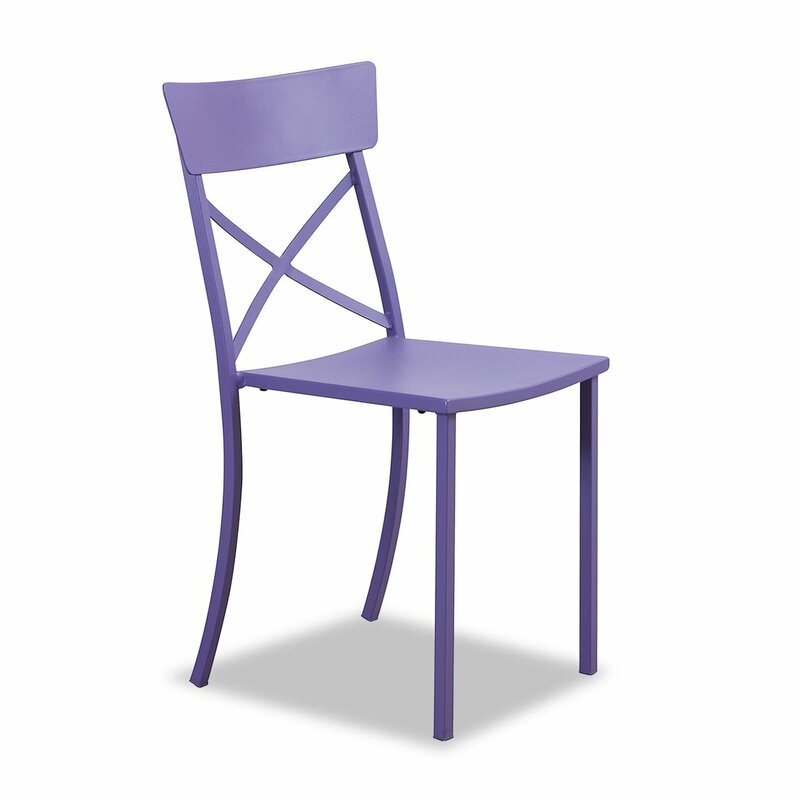 Like all the chairs designed by Vermobil, Mogan can also be stacked. 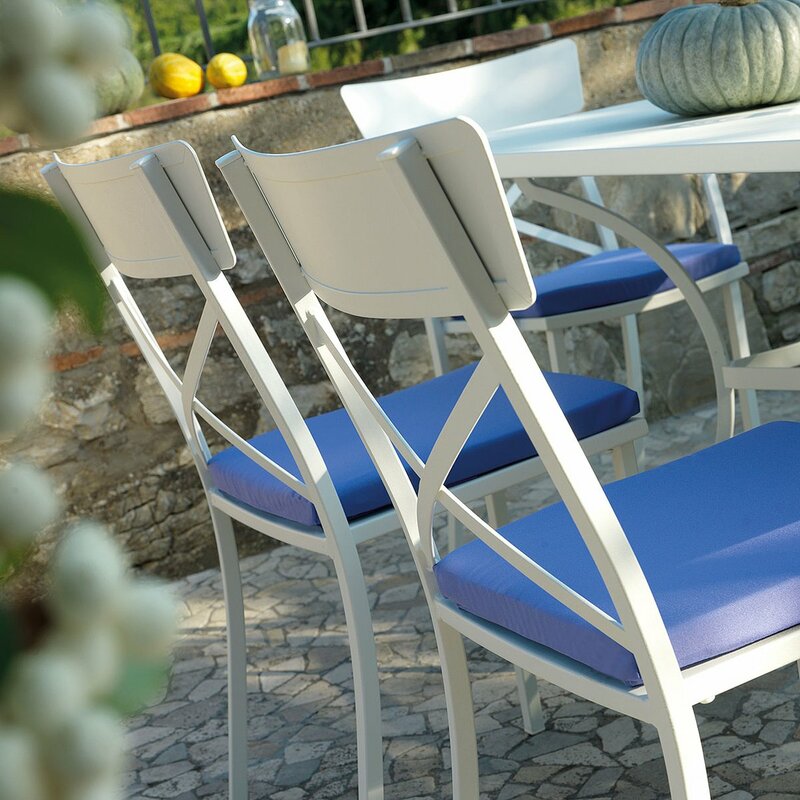 Mogan chair with cross detail is available in different colors: from classics like white, anthracite and mud, typical of outdoor environments, to those more particular such as sage green, red or lilac.